It&apos;s liquid rubber in a can! This is great! Does what it says it will do. 17 people found this helpful. Was this review helpful? Works great as long as u follow instructions. Must allow 24 hrs to dry. Don&apos;t put plumbers putty on top, just makes everything soft. Try to use the repair a fountain it didn&apos;t work out so well. Next used to fix tear in cooler bag worked out great. Wonderful product, just like the TV commercials. 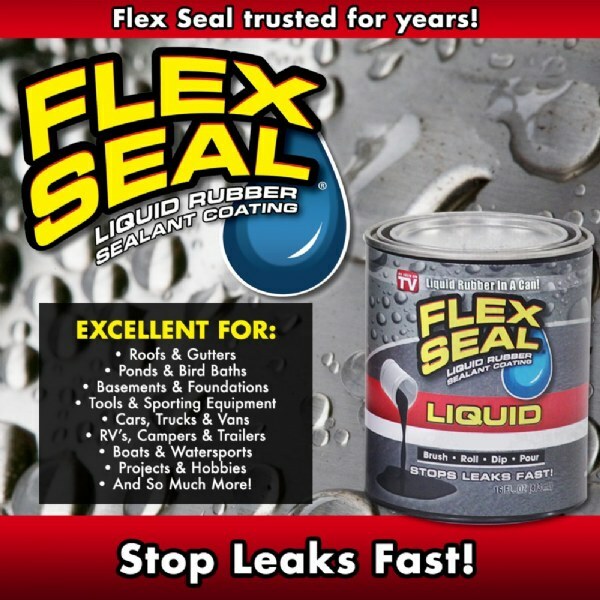 I used it to repair all of my outdoor plant and tree urns, which were all leaking due to age, I just plugged them up with flex seal and leaks were gone, so now with watering the plants the water says in the soil and the plants are healthy again. Covered the leak spot great!!! Works for me, as well as seen on tv! This is a great product. Never would have believed what it could do. This worked out wonderfully on a hot tub cover that became porous. It is now waterproof and looks great. Too thick to brush on. Made a mess of the hood of my car.